At GoOpti, we believe that the safety of our passengers is the most important factor of our work. This is why we created the GoOpti Standards, which bind our carriers and drivers to respect and ensure the highest safety level at all times. The standards, which include all safety aspects, measures and procedures (the required state and alertness of drivers, vehicle condition, procedures in case of emergency, etc.) must be read, accepted and confirmed by the driver before each transfer. Safety is achieved through regular supervision of transfer planning and driver distribution, transfer tracking and internal inspections of carrier companies, where we regularly check the state and condition of vehicles and drivers. • I shall make sure I have a sufficient amount of rest before the drive and that I am physically and mentally prepared for the drive (rested, not sleepy, on time) before I start the drive. • 12 hours before the drive and for the entire duration of the drive my blood alcohol content (BAC) shall be 0,0. • I shall ensure a sufficient number of stops and rests to ensure and maintain the safety of the drive (it is recommended to make a 15-minute stop every 2.5 hours). • I shall reject every drive, even if I have already accepted it, if I determine that I have not had enough rest or I am feeling tired or sleepy or I am not ready, capable or fit enough to carry out the drive. • Before each transfer, the vehicle must be clean, tidy and ventilated, and have a clean windshield. Otherwise the vehicle cannot be used for the transfer. • The vehicle must be equipped with the appropriate tires (with regard to the season). • The vehicle must contain all mandatory equipment (a first aid kit, a warning triangle, a fire extinguisher, a set of spare light bulbs, etc.). • We continuously supervise transfer planning. 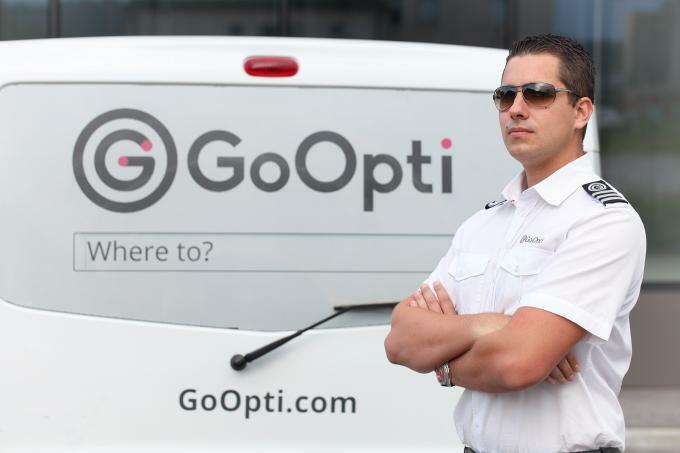 • We continuously supervise the condition of GoOpti vehicles. • We continuously supervise the suitability of GoOpti drivers. • We strictly sanction all violations, and we successfully prevent them. If you wish to send us a message connected to safety, please click on the button below and fill out the contact form.